This post is sponsored by the Carmel Symphony Orchestra. Amazon links are referral links. Growing up, I was always an “artsy” kid. I gained so much from being exposed to the arts at a young age, and I’ve always wanted the same for my own children. Exposing my children to the beauty of live music performed by an orchestra was something that was a very high priority for me. However, there were barriers that held me back from pursuing it right away. The first was the cost; it wasn’t affordable for us to take our family of four to the symphony. The second was the environment. My kids are very well-behaved, but they are also little boys. Sometimes they get excited. Sometimes they forget to use their inside voice. And it’s very hard for them to hold still once the music gets going. Worrying about judgment from others in the audience kept me from seeking out these performances for our family. Little did I know, one of the best family music experiences was less than 15 minutes from my Indianapolis home! 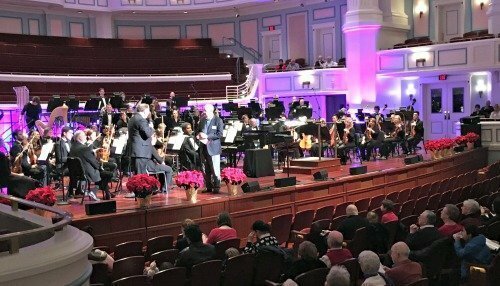 Attending performances by the Carmel Symphony Orchestra has become one of our family’s favorite local experiences. The CSO truly believes that music is for everyone, and especially for children. For that reason, they offer $5 YouthPASS tickets for children, so that cost won’t keep them from attending. The CSO also explicitly welcomes children to their performances. At every CSO event I’ve attended, someone from the orchestra has thanked parents for bringing their little ones, and encouraged them to keep doing so! They even offer a special concert for children every year, where kids can sit on the stage with the musicians and try out the instruments after the performance. The CSO is somewhere that I feel welcome with my kiddos. Of course, nothing we do is complete without a little reading before and after. 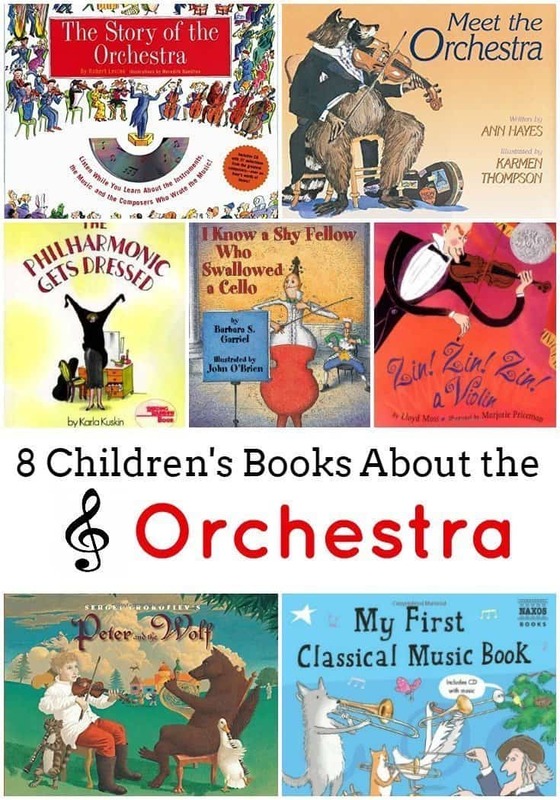 We’ve found some wonderful books about orchestras and classical music, and I am excited to share them with you! Story of the Orchestra by Robert Levine — This in-depth book is great for older kids that want to learn more about the orchestra. It includes a 70 minute CD, and explains each instrument, musical style, and highlights important composers. Orchestra Bob is your guide through this book that is full of great information and lots of “fun facts” your child will want to share with you. Meet the Orchestra by Ann Hayes — Perfect for younger children, this book is a lighthearted but valuable introduction to the world of the orchestra. Adorable animals show off the different instruments that work together to make beautiful music. The perfect read before your family’s first symphony experience! My First Classical Music Book by Genevive Helsby — This book and accompanying CD are an excellent way to introduce your young child to classical music. It introduces major composers and instrument families in an engaging way. Kids and adults can both learn from this entertaining book! 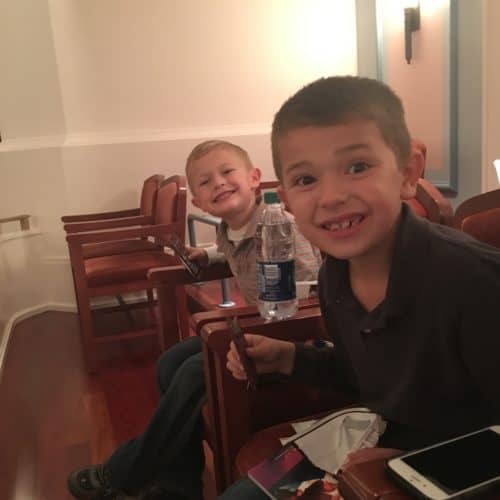 Sergei Prokofiev’s Peter and the Wolf by Janet Schulman — We saw an amazing performance of Peter and the Wolf at the Carmel Symphony last year, and afterward my youngest couldn’t get enough. This book was our favorite of all that we read, and it comes with a CD that narrates the story. I Know a Shy Fellow Who Swallowed a Cello by Barbara Garriel — This fun take on I Know an Old Lady Who Swallowed a Fly introduces children to the sounds each orchestra instrument makes, with a fun twist at the end! This is a really great book to read aloud with a classroom. Welcome to the Symphony by Carolyn Sloan — I will confess that I generally avoid books with those little noise-making buttons on the side, but this one is an exception! The corresponding sound buttons are an easy way to introduce even the littlest children to orchestra instruments, and the story uses the familiar tune of Beethoven’s Fifth Symphony to teach about the symphony. Zin! Zin! Zin! A Violin! by Lloyd Moss — This rhyming story shows how one instrument is lovely, but the more you add, the bigger and more beautiful the sound becomes. Another book that is extremely fun to read aloud at home or with a class. A great choice for preschoolers! The Philharmonic Gets Dressed by Karla Kuskin — I have fond memories of this book from my own childhood, and I loved getting to share it with my own kids. All over the city, as it gets darker, a group of people is getting dressed to go to work. Who are these night owls? They’re the 105 members of an orchestra! Be sure to sign up for our newsletter to receive more great book recommendations! What age group are these best for? Hi Veronica! I would say that all of these books would be great for read-alouds to preschoolers through younger school aged children, with the exception of the first book on the list. The first book, The Story of the Orchestra, is better suited to first grade and older.